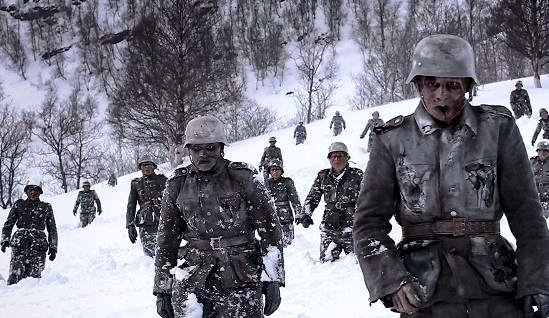 Like Evil Dead, the Dead Snow movies can be watched as one continuous story. In fact, if these were video games, you could say they were built using the Evil Dead engine. 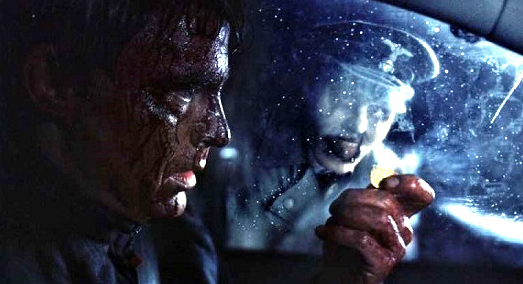 Just like Evil Dead, this series starts by going for scares, not laughs. Of course I’m never thrilled when the first scare in a movie is a dream sequence, but at least it’s a cute guy dreaming while shirtless here. 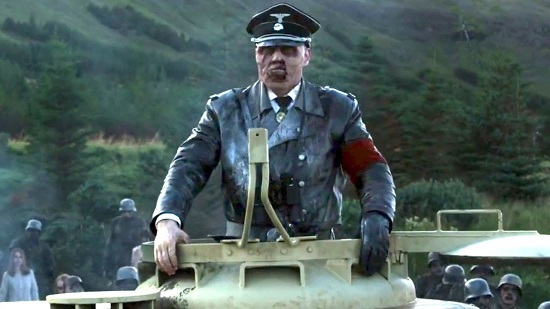 Zombie Nazis want what’s in the box, and it’s very Leprechaun in nature. 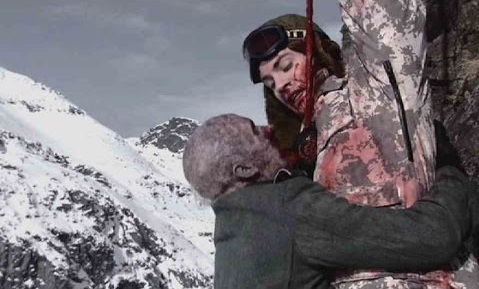 There’s some great dark, snowy winter atmosphere leading up to the zombies first appearing. There’s also a scene I didn’t understand the need for the first time I saw this movie and still don’t understand nor find funny (if that’s what they were going for). Yes, the infamous outhouse scene. A guy goes out to take a crap, a girl follows him, and it leads to a short but particularly vile moment that is supposed to be sexual in nature…I guess. It adds nothing to the movie, the plot, or the characters, and it’s not funny. Good thing the zombie fun hits after that, beginning with an awesome intro moment to the cabin under siege sequence, as well as a great gore scene of a head being ripped open. 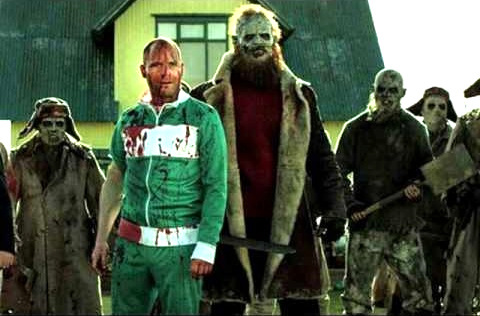 From that point on it’s a zany zombie battle splatterfest loaded with action, blood, and macabre visual humor, much of it involving intestines. And then two dudes head to the shed to prepare for a fight to the death, Evil Dead style. Would you believe a dude even has to hack off his arm? It’s a total blast that leaves us with what could easily be considered a cliffhanger…. Which is where the sequel picks up. The main guy is taken to the hospital and also accused of killing all his friends. The situation seems to have aged him five years because he lost all his hair. Oh wait…the movie was made five years after the first. While he’s unconscious losing his hair, the doctors do something awful. They reattach his arm, which had been bitten by a zombie. That’s right. Our main guy has a hand with an evil mind of its own, as well as supernatural powers. 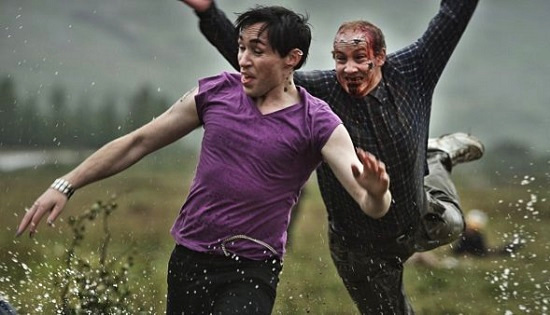 Escaping the hospital in a scene that establishes this sequel is going to be all about the over-the-top comedy, the main man first teams up with a gay goth dude. Despite this being a recent film and him being rather flamboyant, he acts oddly guarded about his sexuality. 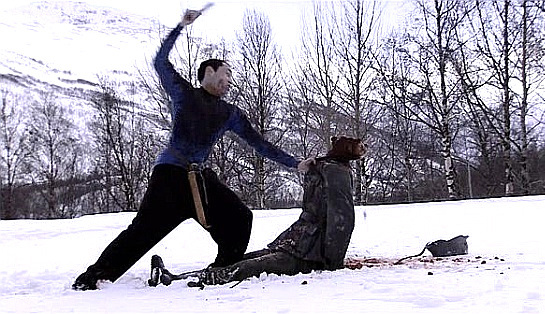 Even so, he still scores the film a place on my die, gay guy, die! page. 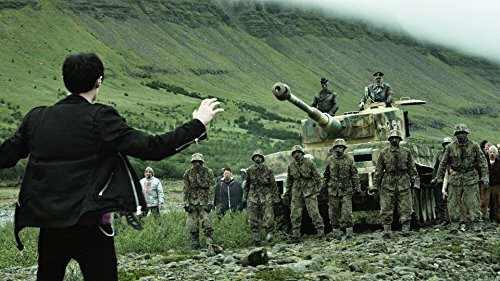 They team up with a group of zombie hunting geeks that enlists them to create an army of zombies…to fight the army of Nazombies, which have even scored a military tank! 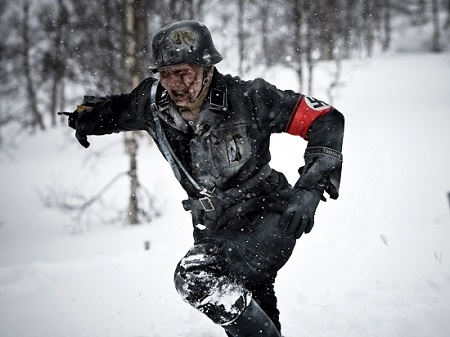 Going for all out farce, Dead Snow 2 has the two zombie armies clash in a splatastic field battle. 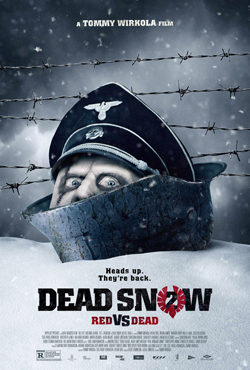 The only real issue I have with this wild sequel…how can it be Dead Snow 2 when there is no snow??? 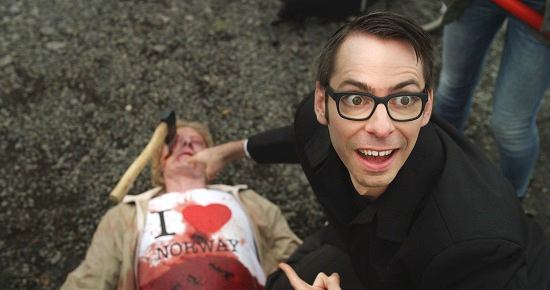 This entry was posted in Johnny You ARE Queer - Gay Thoughts, Movie Times & Television Schedules - Staying Entertained, Scared Silly - Horror Comedy and tagged Dead Snow, Dead Snow 2: Red vs. Dead, gay horror, horror comedy, living dead, undead, zombedy, Zombies, zomcom. Bookmark the permalink.